A video of England rugby coach Eddie Jones addressing a group of sponsors has reached the public. It makes an interesting case of a successful leader setting himself up to fail. The video was recorded several months ago. Eddie Jones is currently the coach of the England (male) rugby team. His appointment in 2015 was controversial. The premier national teams of the northern hemisphere have increasingly selected from coaches the most successful rugby nations. In practice this means coaches from New Zealand and the other Southern Hemisphere countries Australia and South Africa. After a period of relative under-performing, England chose Eddie Jones, a colourful character of Australian, Japanese and American origins. Jones played rugby to state level in Australia.. He then embarked on a coaching career mostly with spectacular successes, but not without the occasional setback. As coach of Australia he stared well but a series of successive losses ended his contract. His last loss was to Wales, a point which may have some further relevance. He achieved success again as national coach to Japan. In rugby-playing terms, Japan is a minor nation. It also lacks an adequate supply of monstrous players in a game which has evolved to require high bulk and mobility. His style is a passionate one, invoking pride in his teams of national and cultural values. Rather than import hefty Samoans, he introduced a fearless flyweight style of play which brought shock wins and delighted spectators during the World Cup of 2015. This track record, and Japan’s showing resulted in his appointment as England coach. His initial impact was spectacular, and the team began to show potential to become a serious challenger for the next world cup. At the time of the video Jones could point to a remarkable turnaround of fortunes in results. His leadership impact was clearly a significant factor. A run of twenty three matches was ended by a firy Irish team, which was also progressing well including a win over the near invincible New Zealand All Blacks. In this summary I draw attention to the loss to Wales which coincided with Jones losing his Australian post, and then to the recent loss to Ireland which ended his winning streak. In the video, Jones is heard lauding his own success in converting Japan into an exciting new force in world rugby. He then turns to the defeat by Ireland. Another dilemma of leadership. When a leader starts believing his or herself-constructed story. It has contributed to the aura around the leader. Some might call it the evidence of charisma. The leader flushed with success, acts out the self-image in terms which become dismissed as bluster or dismissive of others. Remind you of any other leader? Do these words remind you of another leader, often in the news for his provocative statements? If so, what more general conclusions can we draw from the case of Eddie Jones? And is it coincidence that his team plays that “scummy team Ireland” this weekend, a team which has already won the six-nations championship from England this year, regardless of the result? Fifty years on, I don’t remember what he said. It didn’t matter much. He knew me slightly, enough to remember that I came from Wales. We were both working at a hospital in uptown Manhattan. It was a time before good cheap international communications. News drifted in of the horrors over the next few days. I was born a few miles down the valley from Aberfan. Before, it was an unremarkable little community. You needed a reason for visiting or remembering it.. That all changed as a giant mud-flow swept down to engulf a little school. Years later I remember Aberfan afresh. A Mexican student, this time studying in Manchester for a business degree, came up to his tutors in some distress. He also had tears in his eyes. Susan and I in puzzlement thought that he was talking about moths. We eventually understood. He meant mud. There had been another mud slide. This time in Mexico. 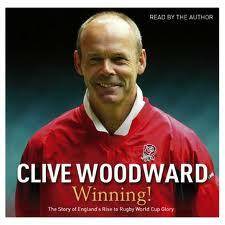 Sir Clive Woodward will be remembered as the England coach for the team that won the Rugby world cup in 2002. He is now a commentator for the BBC. I was particularly interested to learn insights from the thinking of a successful sporting leader. I found that over the last two weeks of rugby, he shared the human tendency to avoid challenging the reliability of his prior opinions in light of additional evidence. One English commentator pre-match had made a different assessment to Sir Clive in an article “Here’s why the whole of Wales and Scotland and Ireland want to see England humiliated”. It’s worth reading in full, to capture some of the dimensions of the “Arrogant English” charge leveled at its Rugby establishment. 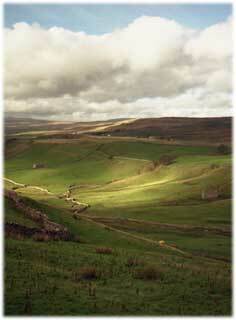 Image is from barryjphillips blogspot . Barry wrote a positive review of Sir Clive Woodward’s book Winning, saying he would like to deliver a pass to a rugby playing friend, but decided to retain possession. The social innovation is the Gregorian calendar. In 1752 an attempt was made to adjust the calendar to arrange the festivals of midwinter and midsummer to reflect the actual seasons. Several weeks were lopped of the year. Some resistance occurred for this as in most social innovations. Resistance is likely to be strongest in rural locations isolated from the dynamic hubs of change. The people of the Gwaun Valley near Fishguard in Pembrokeshire ignored this decree and carried on regardless. In keeping with tradition, [on New Year’s day by the ancient Julian calendar] children from the valley walk from house to house and sing traditional songs in Welsh which have not altered for centuries. In return, householders shower them with sweets and money – or “calennig”, literally “New Year gift or celebration”. The local school, Ysgol Llanychllwydog in Pontfaen, will be open but the teachers are not expecting to see much of their 25 pupils that day. Of course, for much of the year, the community lives with the Gregorian calendar. now standardised internationally. Note however, that there are also alternatives in several cultures also co-existing and respecting older cultural traditions aropund the world. The story is of interest as an example of how ritual helps retain an old traditional way of thinking. 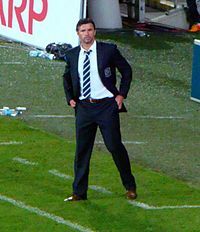 The Wales Manager Gary Speed was promising a bright future for Welsh international football. His young team was gaining in confidence after three consecutive wins. In the days that followed his death, there were tributes from around the world. The picture from countless friends that repeatedly emerged was someone who had transcended the egotistical danger of fame. Here is a video of BBC radio bulletin which was broadcast a few hours after news of his premature death. It includes the silent tribute paid to Gary Speed at the start of the Swansea City:Aston Villa match which turned into spontaneous applause. In the vocabulary of Leaders we deserve Gary Speed might be seen as a version of the Level five leader (modest but of fierce resolve) . Others might see elements of the the charismatic figure from whom friends and colleagues wanted approval. The more recent ideas of authentic leadership also come into the picture. The media respected the wishes of the family for respect to be shown without intrusion. Perhaps the publicity being given to the on-going Leveson inquiry into press standards was an influential factor in this. On the day of his inquest, web stories begin about the contribution of tabloid media to Speed’s death. The Sun is showing great interest in the emerging story and has provided stunning (but non-exclusive) coverage. Earlier this week Leeds fans chanted Speed’s name for 11 minutes from the 11th minute of their match against Nottingham Forest in honour of their former number 11. The Rugby World Cup: Will it be 1966 or 1066 for Wales? To mark the event we have reproduced a LWD post written a few years ago. It records the story of Warren Gatland, now in charge of the Welsh team in its quest for glory in New Zealand. In Welsh rugby, the New Zealand connection runs deep. Yesterday’s Triple Crown battle was framed as Warren Gatland coaching Wales, against Eddie O’ Sullivan, who succeeded Gatland as coach of Ireland. Yesterday’s match against Ireland was billed as a grudge match between the coaches, the very Irish O’ Sullivan, and the very non-Welsh Warren Gatland. Where to start the story? A few years ago Graham Henry came to Wales as coach. Henry went back to his native New Zealand to build a team expected to walk to victory in the World cup in 2007 but who failed to meet expectations. A few months before this season’s competition, the much-maligned Welsh rugby selectors turned to another would-be rescuer from across the seas. The man created hope. He created more than hope. He created Ospraylia, a new country of dreams around the Mumbles, the hills overlooking the Mumbles Bay, and the sleep-steeped Dylan Thomas town of Swansea. His creation was based on The Ospreys, its newly created provincial rugby team. Wales [Osprayia]: L Byrne (Ospreys); M Jones (Scarlets), T Shanklin (Blues), G Henson (Ospreys), S Williams (Ospreys); S Jones (Scarlets), M Phillips (Ospreys); G Jenkins (Blues), M Rees (Scarlets), A Jones (Ospreys), I Gough (Ospreys), AW Jones (Ospreys), J Thomas (Ospreys), M Williams (Blues), R Jones (Ospreys, capt). Replacements: G Williams (Blues), D Jones (Ospreys) for A. Jones (72), I Evans (Ospreys), G Delve (Gloucester) for R. Jones (75), D Peel (Scarlets), J Hook (Ospreys) for S. Jones (65), S Parker (Ospreys). Gatland had hit on an old idea, which worked brilliantly. He created a brotherhood. The dream was both new, and as old as the Celtic myths of leaders who took their armies across the Irish Sea to do battle. And so it was that the warriors from Osraylia walked calmly on to another great place of battle, Croke park, where Ireland were held to be huge favourites. The battle was fierce. After fifty minutes ,the teams were level at 6-6. A ferocious start from the Irish had been fought off. The Ospraylians, althoughdrilled to overcome past errors of indiscipline, twice lost men banished from the fray for their misdeeds. Even then they clung on. The decisive blow came with a scampering try from Shane Williams, the smallest man on the field. Williams had been struggling to avoid contact with full-size Irish defenders throughout, but he managed that one glory run on adrenaline-enriched fuel and fear. Ospraylia were ahead. After that it was trench warfare in mud and rain. But the Irish could make no headway. Two minutes of grunt and scrabble ended it. Not a great match. But a great result and a great story. In four victories Warren Gatland has transformed the rabble that was once the Dragonhood into a unit who have competitive steel to match the talent that has lain untapped for far too long. Of course, there was some personal revenge being wreaked on the nation that dispensed of Gatland’s services so abruptly six years ago, not to mention on the ambitious assistant who took his job. But when he claimed that “this was not about me and Eddie [O’Sullivan]” it was difficult not to see his point. Wales have found Warren, Warren has found Wales and this love affair will run and run. And as in all legends, the story never ended. Three years later, Gatland had replaced many of his original warriers with new young players for their place in Rugby history, possibly against the New Zealand All Blacks, coached by, (who else) Warren Gatland. The film rights are already being lined up for another Invictus. The semi-final made wonderful drama which ended in France winning by one point. Wales had played for most of the match with great spirit and skill, but with fourteen men, having lost their Captain through a controversial refereeing decision. 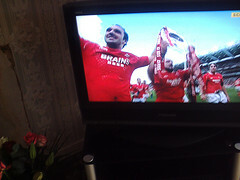 The film may not now be made, but the story will be added to Welsh Rugby mythology.